Organized by the Smithsonian American Art Museum, the exhibit presents a series of stations which together present the evolution of the art of gaming. Each station is a visually appealing, interactive and information-packed kiosk highlighting a particular gaming system from a particular moment in time, along with four representative video games for that system. Whether you were once a gamer or not, you’ll recognize these games as part of our American culture over the past 40 years. From Atari’s Donkey Kong, Pac-Man and Space Invaders in the early 80’s, to the latest games designed for the Wii, XBOX and PC – including Minecraft, of course – you’ll marvel at the ways technology has made astounding leaps and bounds, and you’ll enjoy the walk through of time from this unique perspective. No photographs were allowed at this exhibit – so I found some examples of Video Game Art from my own collection. We attended a scheduled tour of the exhibit, presented by David DePasquale, the Technology Specialist at the Museum, and Jennifer Patton, the Education Director at the Museum. The tour was fantastic, and I highly recommend you get in on a tour yourself if you can. David and Jennifer were friendly, funny, and incredibly knowledgeable about how technology, gaming, and this unique form of art and immersive storytelling has evolved and shifted over time. According to the Museum Calendar, tours happen on the first Sunday of each month at 1pm. The tour, and the exhibit itself, was a big hit with every member of my family. My 8 year-old Minecraft-loving boy enjoyed all the hands on, interactive play and visual stimulation. My 12 year-old non-gamer girl discovered a riveting, beautiful, non-competitive game called “Flower” that immediately hooked her with its amazing graphics and beautiful musical score. Non-gamer Dad was very interested in the evolution of both the technology and the cultural icons in the games themselves. And for myself…I guess I’ll let you in on a little secret. 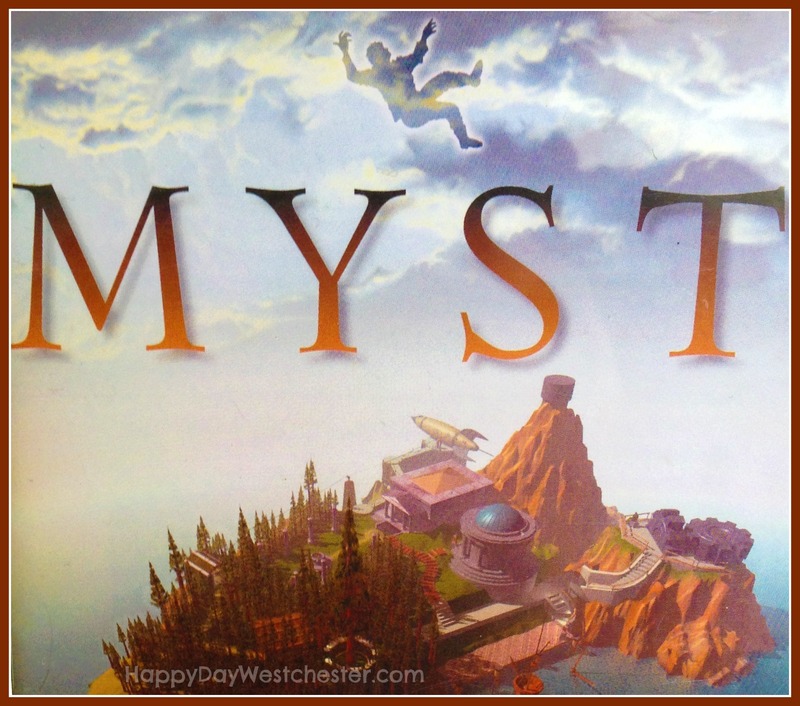 Before I had kids, I just may have invested a tad too many hours in Myst, Riven, and Indiana Jones and the Fate of Atlantis…and I kinda felt this show was designed especially for me. No matter your age, gamer or not – you’ll leave this exhibit with a new appreciation of video games as a uniquely impressive form of art. Photography was prohibited in the exhibit, so I can’t share any photos – you’ll just have to go check it out in person! Check out the HRM website for more information about the exhibit. 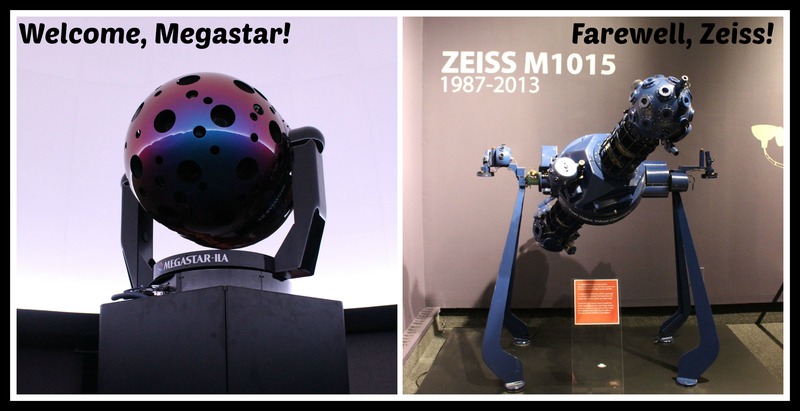 2) The Planetarium has a brand new beautiful Star Projector – and a lineup of all-new star shows! Wow, look at this beauty! OK, maybe you have to be a little bit of an astronomy geek to REALLY appreciate this…but since I’m admitting things…I’ll fess up to that too. I admit I was more than a little excited that we were lucky enough to be among the first people to sample one of the Planetarium’s all-new star shows on the new Digital Megastar. The show we saw focused on the search for exo-planets, and the new Megastar put on an impressive show. The immersive experience was beautiful, smart and entertaining, and my kids were enthralled. The new star-show line-up includes several other new shows both prerecorded and live, and we can’t wait to see them all. Encouraging your kids to look up at the night sky is one of the easiest ways to interest them in science, while also filling them with a sense of wonder and awe. So encourage them to look up – and also bring them to a star show at the Planetarium! You may know I have a very soft spot in my heart for the Hudson River. I happen to think it is one of the very best things we’ve got going for us here in Westchester…and that’s saying a lot, because there’s a lot to love here. The Riverama Exhibit is a visually lovely, hands-on, interesting and engaging exhibit, covering just about every aspect of river life. This exhibit isn’t a new one, and although we’ve seen it before, it has enough interesting aspects to draw us back again and again. 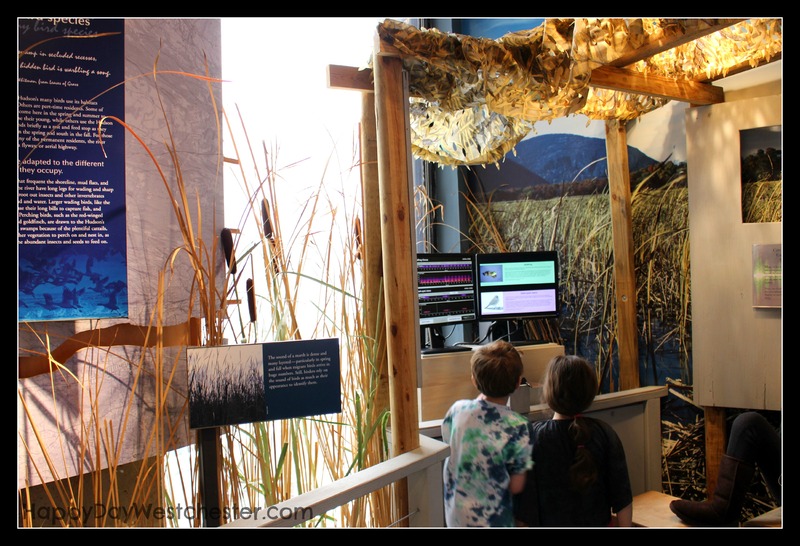 My children especially enjoyed the interactive “Bird Challenge” touch-screen station, and the viewing station, complete with binoculars, looking right out onto the River. 4) The Calendar is so full of special events and programming in the next few months, I can’t even begin to list all the great things going on. In ADDITION to everything I’ve already mentioned, there’s an Arcade Room, Dance Parties, Laser Shows, lectures, demonstrations of new technology such as the XBOX One and Playsation 4, scheduled science and art projects for young children….and much more. Check out the Hudson River Museum Website at this link to see a list of all their upcoming programs. 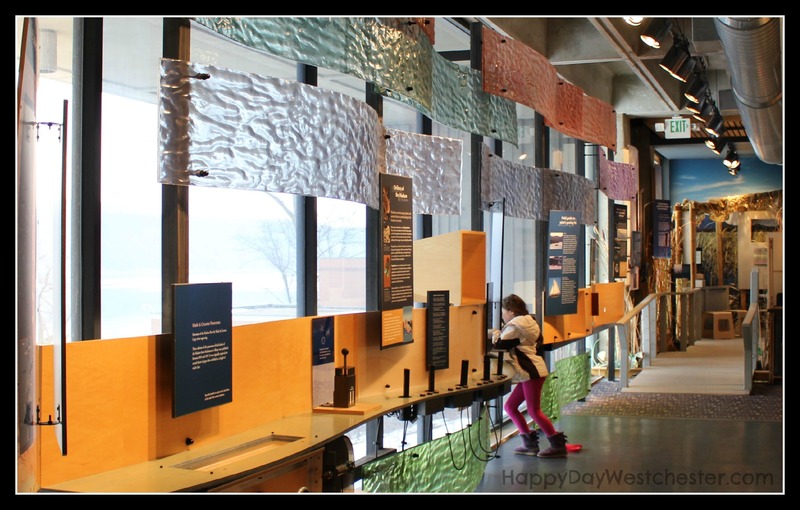 The Hudson River Museum is a fantastic way to spend the day. If you’ve never been, now is the time to check it out. If you’ve been many times before – take my word for it, now is the time to go back. The new exhibit and the new Star Shows make this a trip worth taking! ← Our February Hike in Ward Pound Ridge Reservation – spectacular! this looks amazing. when we get a free moment, i will definitely take the trip. now, how to find that free moment? Yes, that’s always the challenge. May I suggest you block Sunday afternoon for this? Go ahead, put it in the calendar. Don’t wait to see what else might come up – because something always DOES come up – just go ahead and put THIS in the calendar! You will be happy you did.